As a gym owner you realize that all it takes is a big marketing drive, a lowering of membership rates or something else to get your business going. You probably also realize this is a competitive space and getting your market share is tough. From CrossFit, to spas, to boxing gyms and traditional health clubs and gyms, having the cash you need to compete is hard to acquire. Whether you need new equipment for the gym or need to order a few new treadmills, expansion is expensive. With the conditions to borrow money also tougher, finding that cash from the right source is hard. All of that changes with Silver Rock Funding. The process begins when our funding managers work to understand your needs and the needs of your gym. With that information they are able to work with you and understand your cash flow needs and the best ways to finance your request. One of the most popular mechanisms of financing is through a merchant cash advance where you can pay back your funding through future receivables. The entire process is free and there is no commitment needed to accept the loans. You could have the cash you need—between $5,000 and $500,000 deposited into your account within 48 hours after approval. The process is simple and you could get the loan for your gym, boxing center or health club that you need. For most small business loans to be approved, you will need to provide six months of bank statements and three months of merchant processing statements. The decision to accept the terms and rates of the loans are completely up to you. Hit the speed bag with this strong financing option and strengthen your business--even if you have bad credit. Learn all about the Silver Rock Funding difference and the personal touch we can provide. You could be moments away from $500,000 for your business. 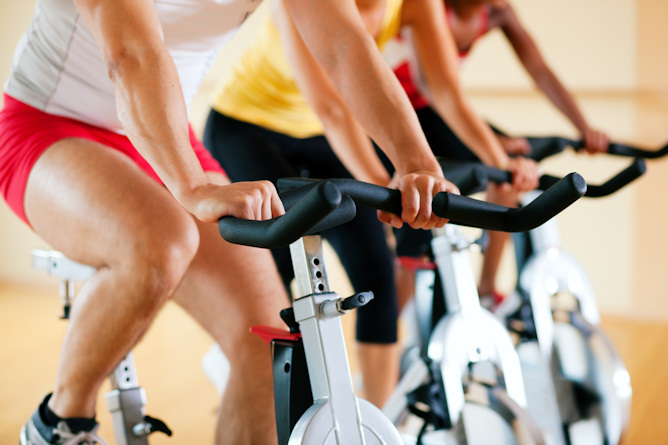 Give your gym or health center the boost it needs today!